It’s Friday and tomorrow is Halloween! Woohoo! I have several things to share today. On your marks, get set, GO! First, a few fun food links! I’ve started writing for Cool Mom Eats, the food site for Cool Mom Picks. It’s a great team and a great site and I’m excited! My first post is up, just in time for tomorrow! 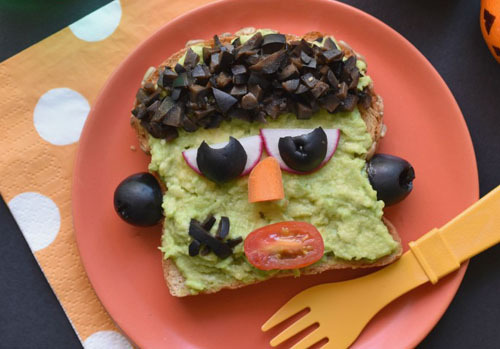 5 Freakishly Easy Halloween Dinners that are super cute and simple, too! I also wanted to share a documentary with you today. My friend Stacia Fiore has been working with homeless kids for years. She has been an outreach counselor in Oceanside, CA for a very long time and is now a mentor/consultant/board member/all around awesome person for the new documentary American Street Kid. As the team was working on the film, they also started a non-profit called Spare Some Change, an organization that aims to use arts and media to raise awareness about homeless youth as well as create a one-on-one mentoring program and new kind of housing facility. They’re doing great work and I can’t wait to see the doc. I am so happy to help Stacia spread the word. Be sure to check it out! And you can click here to see a trailer for the movie. I just realized after uploading this photo that you can see “My List” and our “Recently Watched” shows. Thankfully there is nothing embarrassing in there! That’s it for this week! As usual, show and tell is for the whole class! Pop on into the conversation! 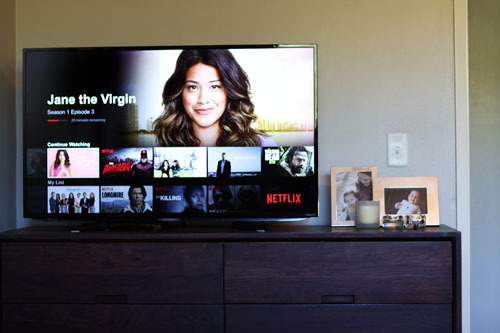 Share your own blog posts, things you’ve recently discovered, or tell us what you think about TVs in the bedroom. It’s all fair game! Hello, my friends! It’s Friday! I’ve basically been stockpiling links to share with you all week, so get ready! First I wanted to share a This American Life story with you that I thought was very powerful and thought provoking. Be sure to listen to The Problem We All Live With. There are two parts to the story. Click here for Part One. Click here for Part Two. 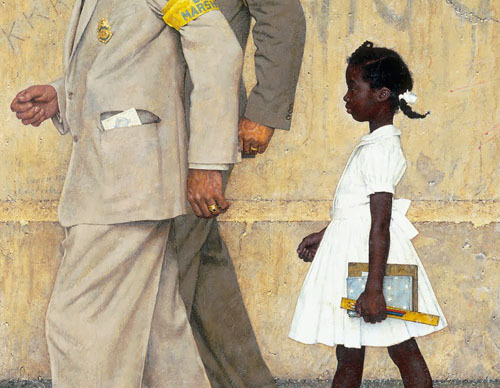 The reporting is about integration in public schools and, well, it’s just really well done. Plus, it made me cry a couple times. So, if you’re easily moved to tears, listen with a box of Kleenex. Remember how I went to Malawi with ONE and Heifer International? You must since I talk about it pretty much every other breath. This week I read two articles that were fascinating and tied right in with my trip, so I wanted to share them with you. From Fast Company: In Africa, Chinese Developers are Building a Mini China. One of the most surprising and striking takeaways from my trip to Malawi was the Chinese presence in that country. I haven’t written about it yet because, honestly, it’s a huge topic and I don’t know where to begin. I am currently reading a book about the phenomenon, and trying to figure out the best way to write about the issue. Until then, this Fast Company article gives you a little taste for what’s happening in Africa with the Chinese. I think the lens through which the issue is viewed in this Fast Company article is a little more rose-colored than what we learned while in Malawi, but the article does give a good introduction to the types of things happening on the African continent. I do plan to write about it myself at some point, if I can ever wrap my brain around it all, that is. From Melinda Gates for Marie Claire: Melinda Gates Reports from Malawi, Where Feminism is Making Surprising Strides. 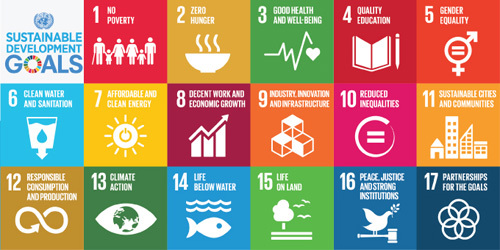 This article is awesome and uplifting and does reflect our experience in Malawi well. The women in Malawi are so impressive. I have yet to write about the Village Savings and Loan groups we learned about (post to come, promise! 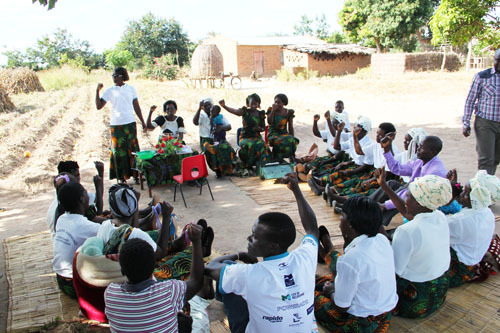 ), but it was a beautiful example of women making great strides in Malawi. Interestingly, when Ellen McGirt from our group asked Mr. Mtika, one of the Heifer farmers we visited, what the hardest Heifer intervention was to implement, he immediately responded with “family and gender roles.” We admired his humility in that response, especially since you could see that he and his wife have a wonderful partnership. ANYWAY, this was a great article. Plus, Melinda Gates is awesome. The end. Would you like me to share some food with you? Because I can do that, too. Here we go! And, yes, I am aware that I basically gave those two articles the same title, although I wasn’t aware until right this moment typing them into this post! I think it’s time I get a thesaurus. With that, I do believe I’ve given you enough reading, listening and cooking material to last you not only through the weekend but probably through the whole week! Please let us know what you’ve been up to in the comments! Share links that you found interesting/funny/informative/whatever, share your own blog posts, or just share something fun that happened to you this week. It’s all fair game for Show and Tell! Week 442 Menu + Show and Tell! Happy Sunday, everyone! So, today’s menu post is a bit unusual. First, I’m sharing Friday’s Show and Tell links with you today because, quite honestly, I forgot to share them on Friday. 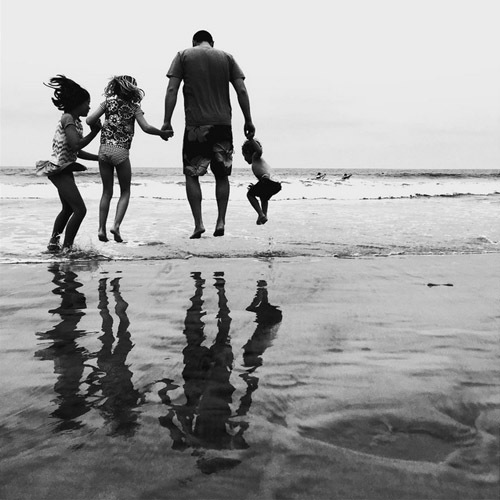 The kids and I were having too much summer fun! Second, I don’t have a menu planned for this week! The kids and I leave on Tuesday to visit family on the east coast, so I honestly have no clue what our food plans will be. If you need inspiration, click here to see menus from past weeks. I always read through everyone’s comments on older menu posts to get ideas when I do my own planning each week. They are such a great resource! Also, just because I am not posting a menu doesn’t mean you can’t! If you have a menu planned, please share it in the comments!!! For Show and Tell this week, I have several things to share with you! For Babble I wrote a post about how traveling to Malawi as well as meeting Stephanie Nielson from the Nie Nie Dialogues transformed making my kids lunches from a chore to a privilege. It’s a goodun, especially the last paragraph. I wrote another post about the Malawi trip, this time for BabyCenter and focused on the personal impact that the lack of electricity has on people’s lives there. Here’s the link to the article: Can you imagine raising kids in a home with unreliable electricity? For Parade’s Community Table: 12 Not-Just-Strawberry Shortcakes! That’s it for today! As I mentioned earlier, please post your menus in the comments. We especially need you on these weeks I’m traveling to provide inspiration for others! Thank you in advance and have a wonderful week! I think Voldemort is regaining power here in San Diego because it’s been ridiculously gloomy for the last 2 months. But we didn’t let the dementors get us down and still had a spectacular beach day. Feel free to please share your own stuff in the comments! And have a fabulous Fourth of July! Happy Friday, everyone! I am currently sitting in a beautiful hotel room at Stein Eriksen Lodge in Deer Valley, Utah and feeling incredibly spoiled. I am at the Albion Fit Soulstice Retreat and it is the BEST. I wish you could all be here with me, especially because the food has been marvelous and the gift bag is off the HOOK. 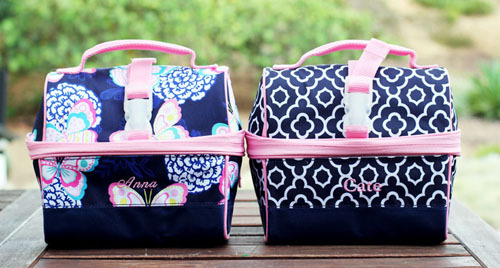 Today I have some really fun, perfect-for-summer food links! 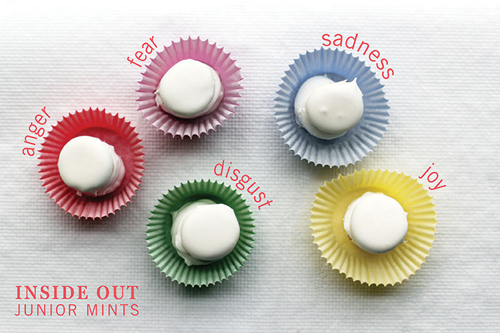 First off, I created a recipe for homemade “Inside Out” Junior Mints for Babble that is AWESOME. You need to make them and then go see the movie! And, TWO posts about popsicle for Parade’s Community Table this week. It’s summertime! As usual, please feel free to share your own links, recipes, whatever! Friday Show and Tell – Brownies! It’s Friday! Woohoo! I’m all happy and giddy and stuff because we are finally painting our walls after replacing all the plumbing in our house last summer. Yes, that means we’ve had 38 patches on our walls for almost a year. I feel like we’re making good time, no? Anyway, the colors are coming out wonderfully, so I’ll have to do a follow up “how to pick paint” post to let you know what colors I used. I just have one thing to share today. BROWNIES. For Parade’s Community Table this week I pulled together a roundup of 15 creative, amazing, wonderful brownie recipes. You should go check them out. 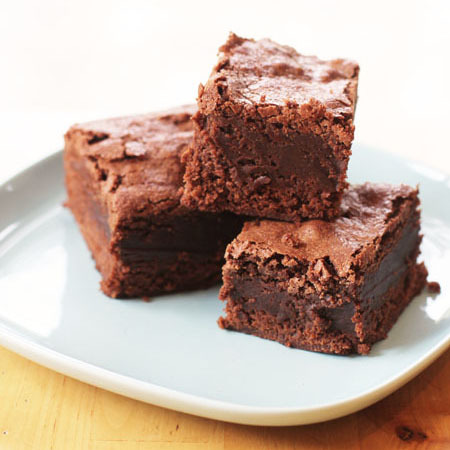 For those of who might want a more basic brownie, this brownie recipe from Ruth Reichl is hands down my favorite, which is saying something because I actually have a lot of “favorite” brownie recipes. Now, go forth and make brownies. And have a marvelous weekend. And share your stuff with us in the comments for Show and Tell! I know I can’t stop talking about Africa (which is a reflection of my mind, which cannot stop thinking about Africa), but I have to share a documentary with you. 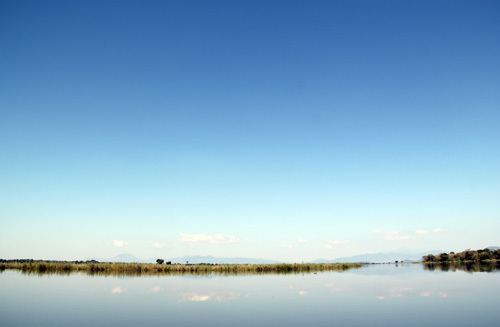 Joe Kraus from ONE recommended the movie Virunga while we were driving around the Malawian countryside. Nate and I watched it this week and it is so beautifully made and thought provoking I had to let you all know about it. So many of the issues that I witnessed in Malawi are explored in this film, with the added complication of the war that Congo is experiencing. I literally sobbed my way through the movie (fair warning!). The movie is streaming on Netflix. 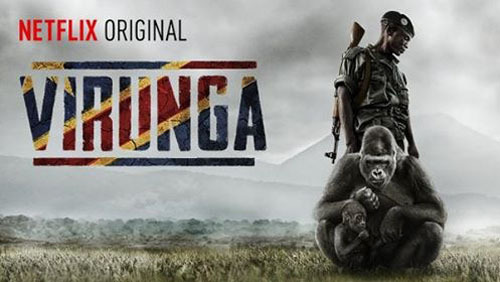 If you want to support Virunga National Park, click here. Also, this article on Huffington Post provides an excellent summary of the movie and what it’s all about. I’ve got another great use for the rhubarb simple syrup for you! 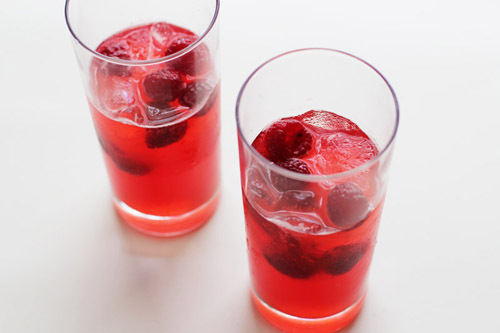 On Babble I shared a recipe for Raspberry Rhubarb Sangria, including a non-alcoholic version, too. And, in case you hadn’t heard, National Shrimp Day was in May, so I pulled together a fantastic roundup of shrimp recipes for Parade’s Community Table. That’s it! As usual, please share your own stuff! Just updates from your life, recipes you’ve found during the week, links to your own blog posts…anything goes! Happy Friday, everyone! I have a lot to “show and tell” today and a lot to say about my trip to Africa (I’m getting on my first plane of the trip in 30 minutes! ), so I decided to split the two up and I’ll be doing a separate Africa post later tonight from Washington, D.C. So, let’s show and tell, shall we? 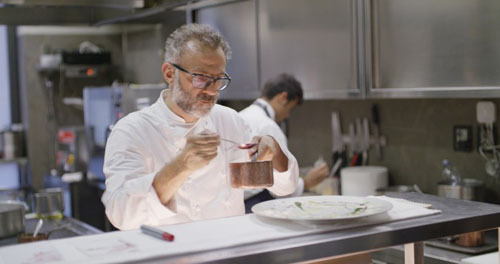 First, I just discovered a new original documentary series on Netflix that I’m loving called Chef’s Table. It tells the story of 6 of the world’s most renowned chefs and I love it. It’s beautifully constructed and the stories are wonderful. I highly recommend it! 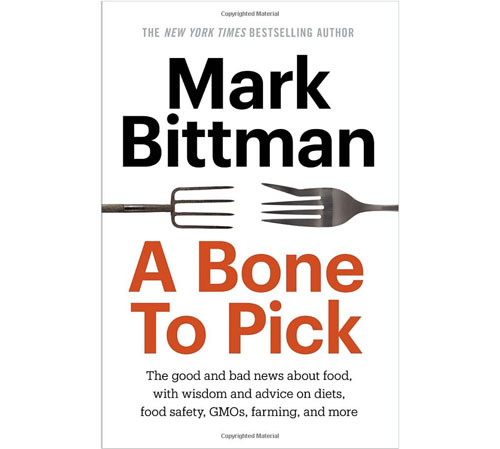 Mark Bittman has a new book A Bone to Pick. I’ve ordered my copy and can’t wait to dig in. 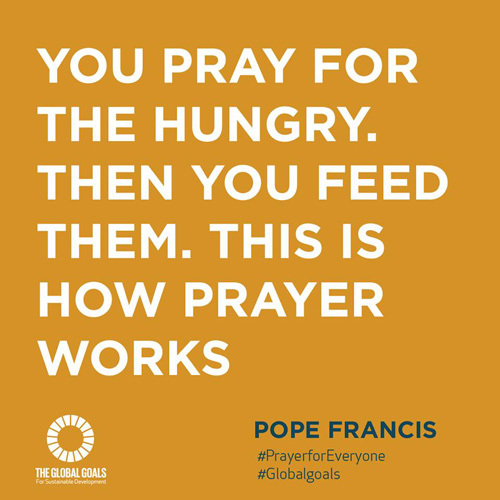 I love that guy and the way he talks about our food system. I am really looking forward to reading his latest thoughts! Remember my friends Liz and Dave who started the activewear company Albion Fit? They just announced their retreat Soulstice and it looks AMAZING. It’s expensive, yes, but it really is a top notch, 5-star, every attendees gets a $1500 gift bag kind of experience. Albion is also offering a group discount if you are interested. Groups of 6+ can each register for $2399 (limited spaces available). Just click on the 6+ discount when you register and enter the code TWFD. And if you go you just might run into me in a yoga class! Last thing, one food link for the week! 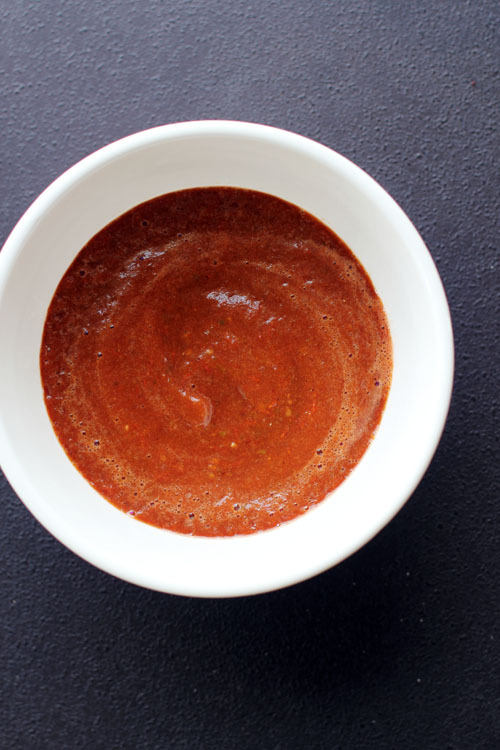 I put together an awesome roundup of salsa recipes for Parade’s Community Table. You should definitely check it out! That’s all! (Ha! That was a ton of stuff!) Happy Friday! And don’t forget to share your own finds, links, blog posts, thoughts, whatever!